Last week, the Nigerian Senate considered 36 amendments to Nigeria’s 1999 constitution. I am not a Lawyer or Political Scientist so I have limited understanding of how the legislative process works but I did some little ‘research’ and learned that for these amendments to become law, it must be approved by at least 2/3rds of both chambers of the National Assembly and by 2/3rds of the houses of Assembly of the states. Anyway, here are some portions of the proposed amendments that I found interesting. The Senate voted No for the devolution of powers to states. If passed, this portion of the constitution would have given states the authority to deliberate on items on the ‘exclusive legislative list’ i.e arms, public holidays, exchange control etc. and on issues like the division of public revenue and the generation and transmission of electricity. 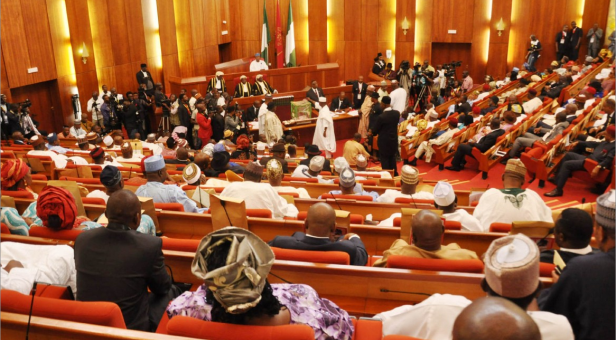 The Senate voted yes for establishing a time frame for submission of names of Ministerial nominees. Honestly after the 6 months debacle with President Buhari, I think this one is absolutely necessary, we are too far behind in our development, not to hit the ground running. They voted No on the 35% affirmative action for women as Ministers! This is quite sad as I thought the 35% was even too small but now these men want to eliminate it entirely. I am totally in support of affirmative action instruments like quotas that can be used to support under represented groups, so I am clearly gutted by this. They voted yes for Independent candidacy. If this is approved, it reduces one of the barriers to political participation. If you want to run for office but can’t join any political party due to ideological misalignment, then this is good news! They also voted yes for a reduction in the age limit required to contest for the Presidency from 40 to 35. Shout out to the #nottooyoungtorun group, an outstanding group of young people who worked hard at ensuring this! I found this one funny, they voted yes for the word ‘force’ to be removed from the ‘Nigerian Police Force’, hahaha! I am not sure what this seeks to achieve, can anyone help explain? lol! They also voted Yes for the deletion of the NYSC (National Youth Service Corps) decree from the constitution, I am not sure what this means, so can anyone help explain? They also voted yes for immunity for Legislators for acts in course of Duty, that is, for anything they say on the floor during plenary or when they hold committee briefings. Hmmm, I am not sure I feel good about this one. These are really some of the things which stood out for me. To be honest, I am a little skeptical about the entire process, I feel the Nigerian people should have been consulted and provided with the opportunity to vote on all of these issues. This is the Nigerian Constitution we are discussing here, it governs the behavior of everyone in the country, not only our Lawmakers, besides this, seeking the inputs of Nigerians also enhances its legitimacy. Like I said, I am not an Expert on these issues so perhaps there isnt any provision in the law for this, or is there? Anyway, you can check here and here to view the entire list. Also read this interview on the issue granted by the brilliant Professor Chidi Odinkalu. I look forward to your responses especially the Lawyers and Politics Wonks! Previous What’ hot? Vol. 3 Nigeria’s looming debt crisis, Alarming inequality, #Diezanigate, Jack Ma in Africa! Next #Fixing Nigeria’s oil: What the Diezeanigate really teaches us. Thanks for sharing this Amaka. If you look at the constitution since 1960, you will see that rarely any modifications were made. The whole purpose is to maintain the power of the central federal government hence the reason why they voted no to devolving more power to the states because that rule in itself would be the first major step to making the change Nigerians truly want to see. Dear Abi, that is a very good observation that you have made.